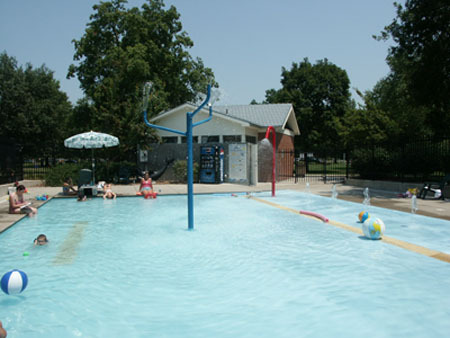 The South Park Wading Pool, located in historic South Park, was significantly remodeled in 2001. In addition to a completely redesigned zero-depth entry pool, water sprays, fountains and our favorite seal, Skippy, were added. There were also new fully-accessible restroom facilities with private changing rooms added in beautiful South Park. South Park Wading Pool is an ideal place for parents to bring children 6 and under for an afternoon outing. The Parks and Recreation Department provides qualified staff to supervise the wading pool area, but please remember – all children must be accompanied by an adult supervisor when using the facility.